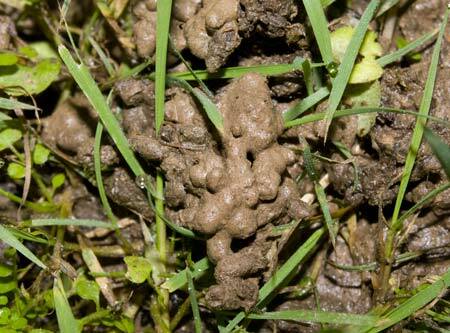 Earthworms excrete material known as casts. These may be laid in the soil, where they add to soil mixing, or at the soil surface. Surface casts are usually deposited by earthworms that form vertical burrows. The casts are very fertile, containing digested soil and plant material, and microbial agents that continue to transform nutrients. They are usually high in phosphorus, nitrogen and potassium.